Read the article on What’s worth keeping? And what’s best drunk without delay? by clicking here. 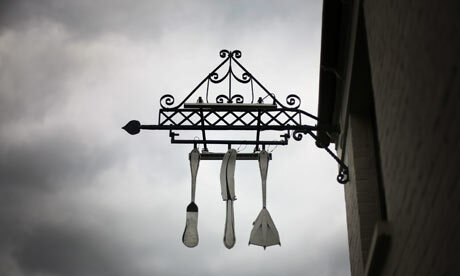 Another Wine of The Week feather in our hat from The Guardian. 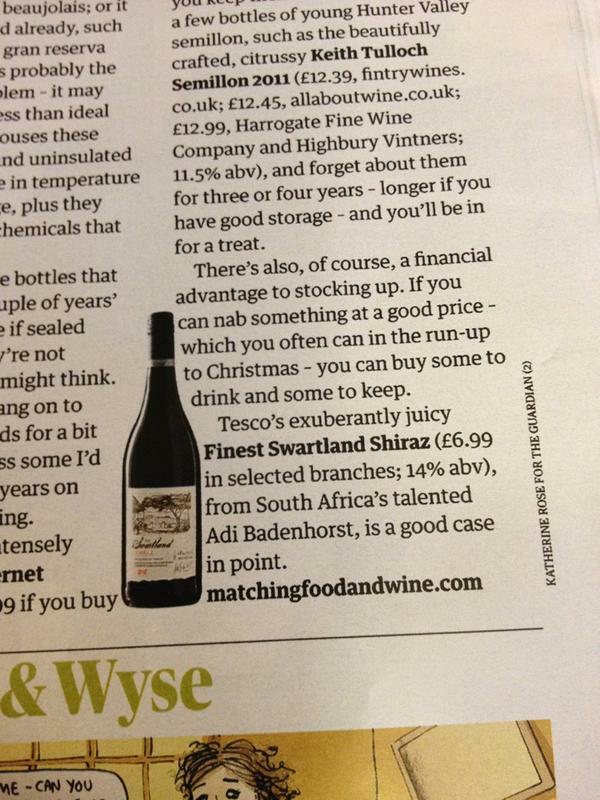 Tesco Finest Swartland Chenin Blanc, 2011 (£6.99, Tesco) South Africa’s Swartland region is one of the trendiest spots in the wine world and winemaker Adi Badenhorst is one of its leading lights. Tesco is therefore on trend with this budget Badenhorst addition to its wide-ranging Finest stable, a powerful white that, while not quite as intense as the pricier Secateurs Chenin I reviewed a few weeks back, is nonetheless full of tarte-tatin flavour and crackles with electric acidity. 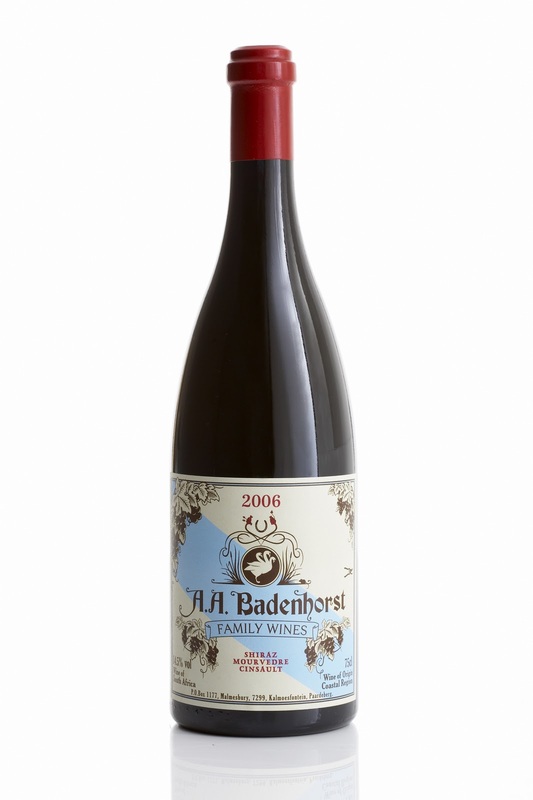 Our amazing friend Sam Woulidge proudly tweeted to let us know that our 2006 AA Badenhorst Family Wine Red Blend is one of only three South African red wines on the wine list at The Fat Duck in Berkshire in the South East of England. The other two is the 2005 Thelema Reserve, Merlot, and a 1991 Trilogy by Warwick Estate. 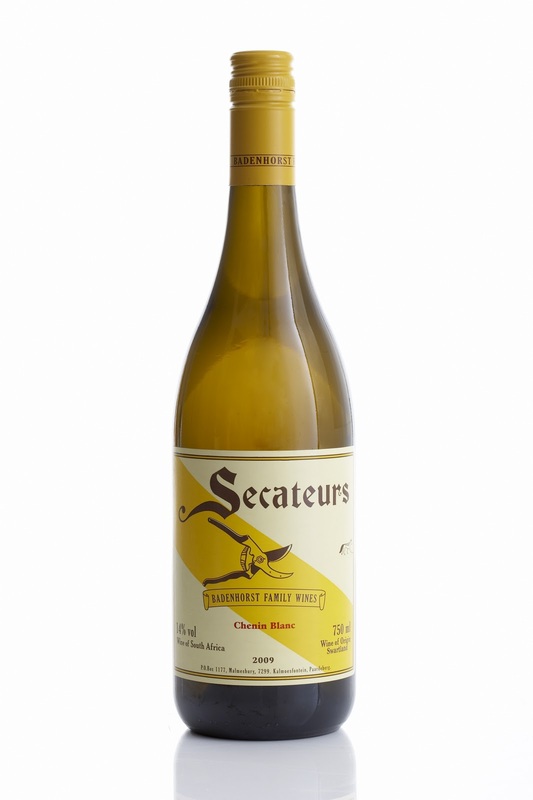 Our 2009 Secateurs Chenin Blanc is also on the white wine list (along with Steenberg‘s 2008 Semillon and Waterkloof’s 2009 Semillon). 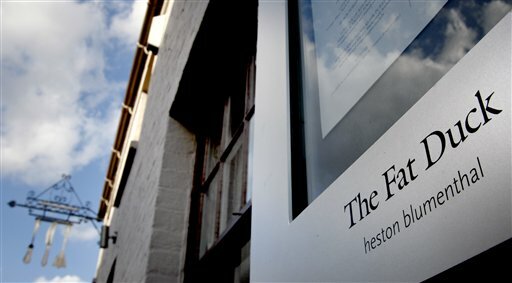 You can have a look at the impressive wine list here.